It's over. 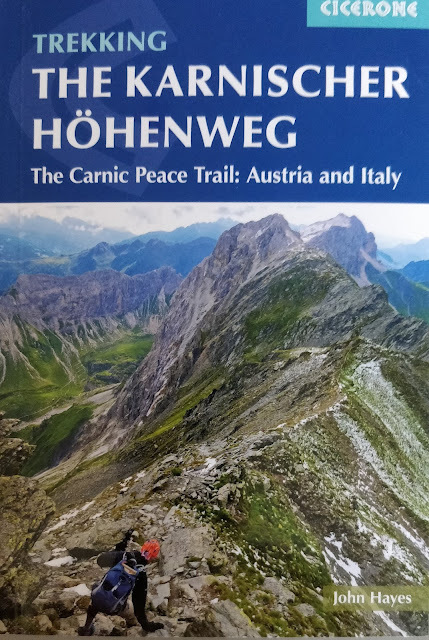 Six months, 5000 kilometres, starting in the extreme south west of Europe with winter turning to spring and finishing in Hungary with autumn now establishing itself - it feels like I have been walking for ever. Had resisted the idea of Christine, and others, coming to Budapest to see me finish the walk - I'm desperate to get home and didn't want anything to hold that up. Of course that meant that the final day could have been a "damp squid" - with me sneaking into to Budapest and then jumping on the plane and leaving. Well it was more fun than that and I'm very grateful to Csaba Almási for taking time of work and spending the day with me. 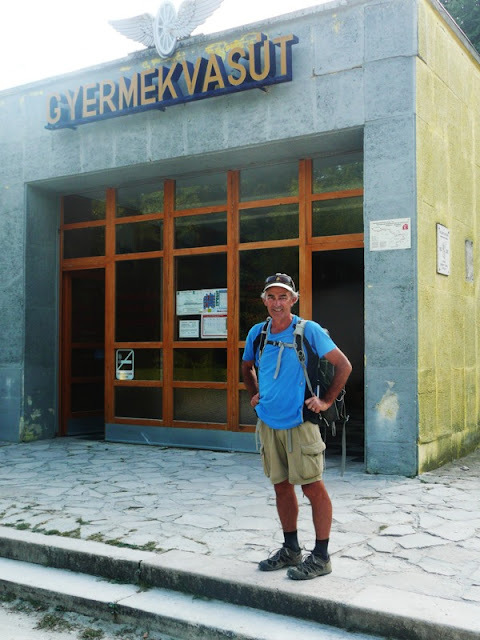 Left Piliscsev at about 8 and was at the station in Piliscsaba at about 9 to meet Csaba. 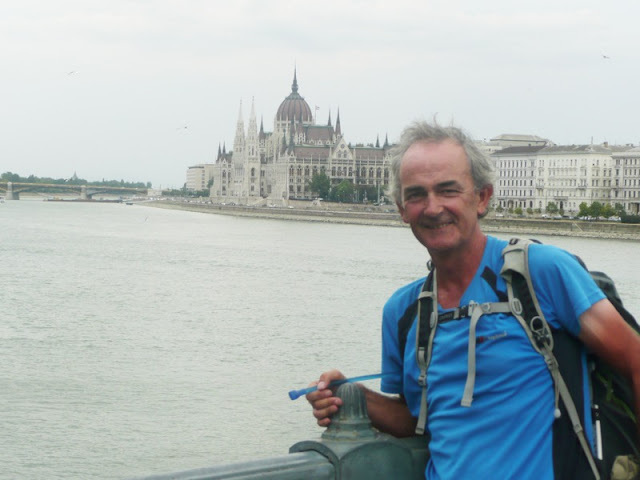 To be honest I did not pay as much attention to the walk as I normally do, was chatting to Csaba, and staring at the horizon for the first tangible signs of Budapest. In terms of detail all I remember is that was a nice walk - you remain in countryside almost to the last minute - the weather was good and the views were great. You don't actually see Budapest from the distance, not from the direction you come in on the Blue Route, what you see is the hill above Budapest, and I guess we were about 9 kilometres from the end of the walk at that point. Sent a text home and then, and throughout the day, messages were flying back and forth with family and friends. 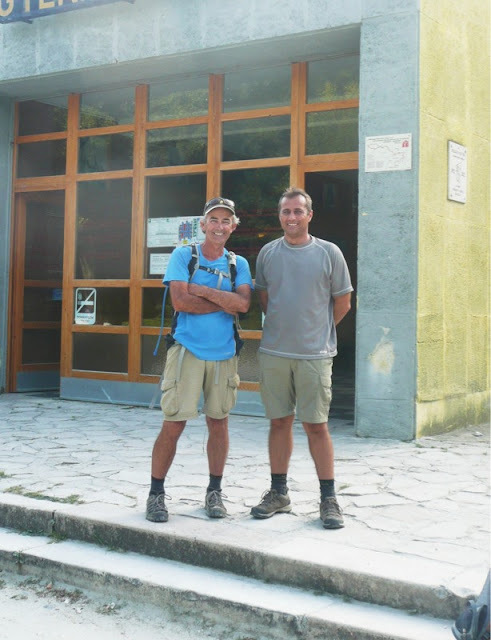 We stopped for lunch at Csaba's relative who lives about three miles before the end of the walk, lovely lunch and the best beer I have had since leaving England. I did know, but I had managed to forget, that the Blue Route and the E4 don't actually go through the middle of Budapest - the route crosses the city boundary and bounces back out again before eventually heading east - the usual meandering Blue Route style. Was in a slight dilemma and for a time felt that I should walk into the city centre, through the rush hour and with no real route, and not actually on the E4. The dilemma was short lived and completely put to bed when I saw the opportunity to travel in on the beautiful Budapest yellow trams. 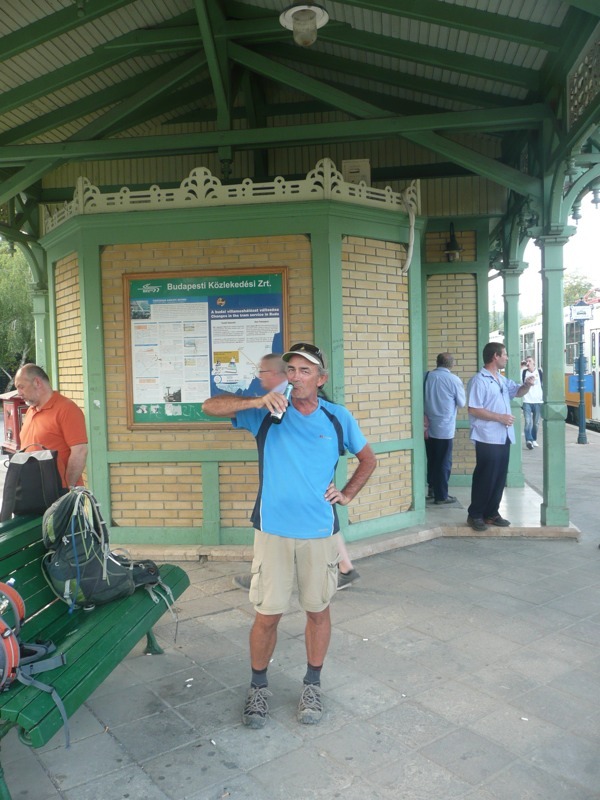 Before setting of we had a beer at the Huvosvolgy, the terminal for Children's Railway, and the "stamping point" for the Blue Route before it leaves Budapest. Some English tourists (trainspotters I suspect) took the picture. More pictures on the platform for the tram and Csaba pulled out a couple of little bottles of Hungarian bubbly for a Formula One celebration. Magic moment on the tram going into town. Trying to work out where to take some pictures and thinking about to "iconic" Budapest views, we were joined in on the discussion by other passengers and within seconds the story of my walk was transmitted around the carriage and congratulations on its completion where being given and gratefully received. Have been to Budapest twice before, and will definitely come back again for a proper stay. It's a stunning city, it is so often compared with Vienna, but I think it's much nicer. Finished my day with some more pictures and some more beer and an interview with a journalist from the Hungarian Olympic Committee - always the embarrassing question, why did you do it? Great last day. Checked into the Hotel feeling "tired and emotional" and for once couldn't face writing my blog. Spoke to Christine, had a bath, went and had some dinner and felt much better. Back to England today, Tuesday the 6th, and decompression. No idea how I will feel after having a new adventure every day for six months. Walking the E4 has been wonderful. I'm so lucky to have had the time and resources to take such a journey, see so many places and meet so many people. Have lots of plans about what I want to do next but I think this is last time I'll try and walk across a continent. Forest Gump is coming home! Thanks for letting me virtually tag along. Many, many congratulations John - I must say how singularly impressed I am with your fantastic achievement. Really well done!! If my experience of doing small multi-day walks (14-17 days) is anything to go by, your decompression period could be a little painful - both mentally and physically, but that will be compensated by being at home again. Would love to hear how all the kit worked out - so expecting a followup blog entry on that one :) but for the time being take it easy, but try and keep the legs moving a little bit. A "relative" plugger for the next 40 years. CONGRATULATION!!!! It is really fantastic you achieved the tour!!! Congratulations John you have achieved your challenge with motivation, endurance, hard work and above all fisical force. Great accomplishment. I admire your determination. Enjoy the resting time with family and friends. CONGRATULATIONS DAD! Really proud of you, what a fantastic achievement. Can't wait to see you! fantastic news John - can't imagine how it feels 4 days was enough for me - 6 months???? many, many congratulations. 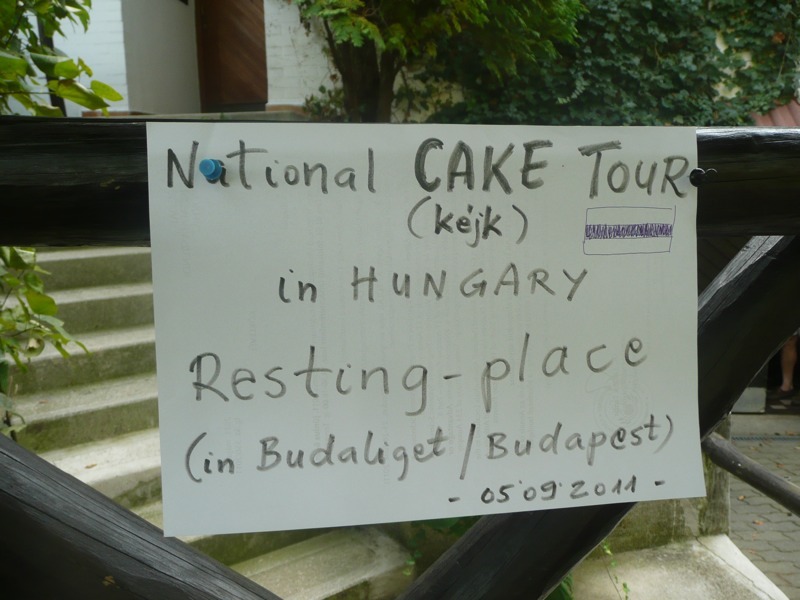 It´s great you kept your way and reached Hungary. E4 is really magic way. I walked little bit slow and enjoyed some places in Spain and now I am in Carcassonne. So many times I remembered you, your steps, when I walked on GR7 and with smile on my lips wished you safety steps on your next way. Well done John! Knew you would do it. Now we have to get used to living together again! And many thanks to everyone who has supported you and commented on the blog along the way as I know what a fantastic source of encouragement that has been. Well done John !!!!!! From William Sergeant. Have just discovered your blog. What an acheivement and how I wish that one day, I can walk in your footsteps. Well done! !